India will be self-reliant in the production of silk by 2020, said the Minister of Textiles Smriti Zubin Irani in a media interaction on Thursday. 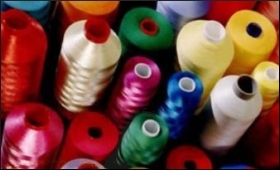 The Union Cabinet’s decision approving the Integrated Scheme for Development of Silk Industry will help increase the production of Bivoltine silk (high quality) by 62 percent by 2020. The Minister further said the aim of the government is to increase the number of people engaged in the silk sector from 85 lakhs to one crore in the next three years. She said, 50 thousand people will be trained in this sector. Irani told media that an inter- ministerial committee of related ministries will be set up under the Textiles Ministry to disburse a sum of Rs. 1000 crores for development of Research & Development. The minister informed that market development is a very important area and 21 cocoon testing centres are being set up in the main silk producing states of the country. Apart from this, 19 basic silk seed farms, 20 silk worm seed production centres, 131 chawki rearing centres and 500 acres of land is being set aside for improved varieties, she added.